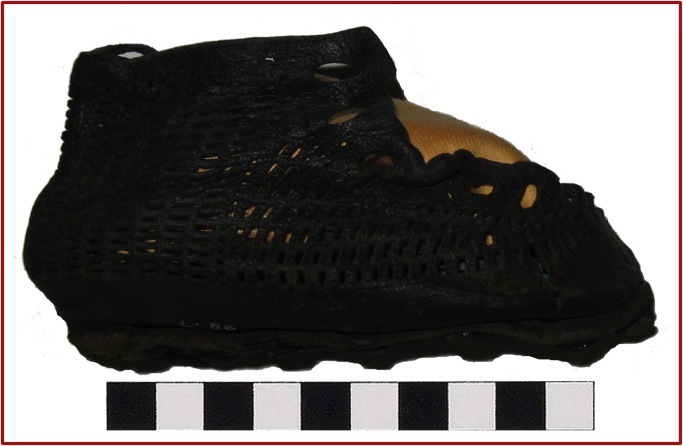 Credit: Elizabeth Greene, University of Western OntarionTiny shoes found at Vindolanda, a Roman fort in northern Britain, reveal that families were a part of Roman military life between the first and fourth centuries A.D.
Credit: Elizabeth Greene, University of Western OntarionRoman kids wore shoes that reflected their parents' status. 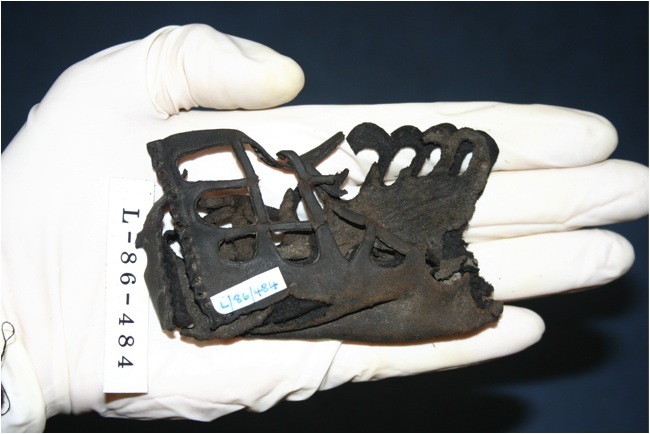 This leather sandal with a complicated pattern would have been worn by the fort bigwig's infant child. 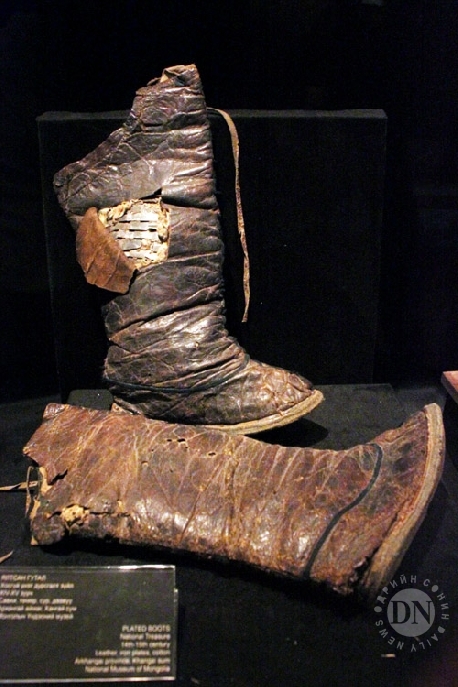 Credit: Elizabeth Greene, University of Western OntarionMeanwhile, the children of soldiers wore miniature versions of the fell boot, the basic marching boot of the Roman army. 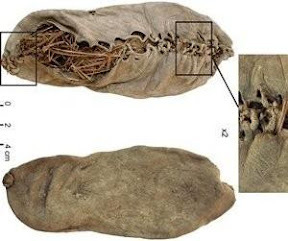 Credit: Elizabeth Greene, University of Western OntarionThe carbatina was a popular shoe for children, because it could be fastened easily with one lace and even tightened or loosened as a child grew. 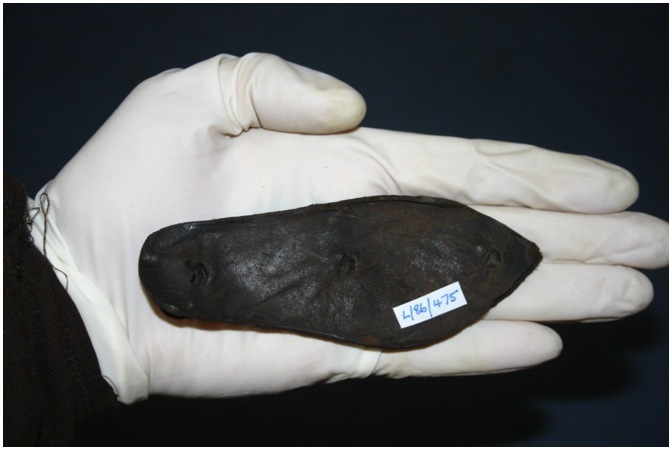 Boot StudsCredit: Elizabeth Greene, University of Western OntarionUtilitarian iron studs on the soles of children's shoes found in Roman army barracks. Large, widely space studs may have saved money, since metal was expensive. 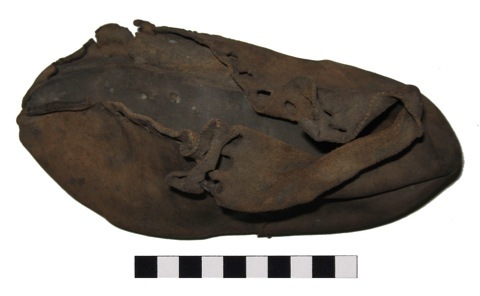 Credit: Elizabeth Greene, University of Western OntarionThis detailed carbatina shoe for a child was found in the centurion's, or officer's quarters, illustrating how higher-status individuals could afford nicer shoes for their children. 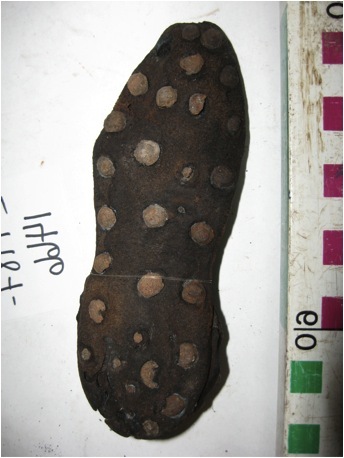 Decorated SandalCredit: Elizabeth Greene, University of Western OntarionOnly one shoe at the fort fails to fit the pattern of nicer footwear for kids of higher social class. 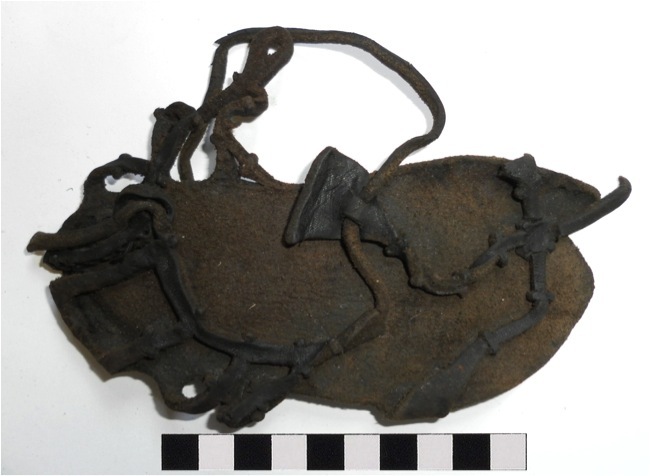 This sandal used little leather, so may have been inexpensive, but its triangle-and-rosette decorations are fancier than a typical soldier's child's shoe. 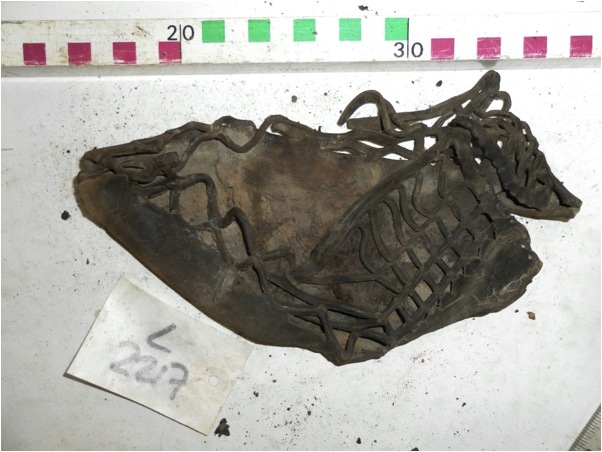 This sandal was found in the barracks of the rank-and-file soldiers.